The biggest misconception friends have about Izdihar Jamil’s job as an air quality assistant engineer with local firm AxiomTAB is that his work revolves around air conditioners and that he is skilled at fixing them. 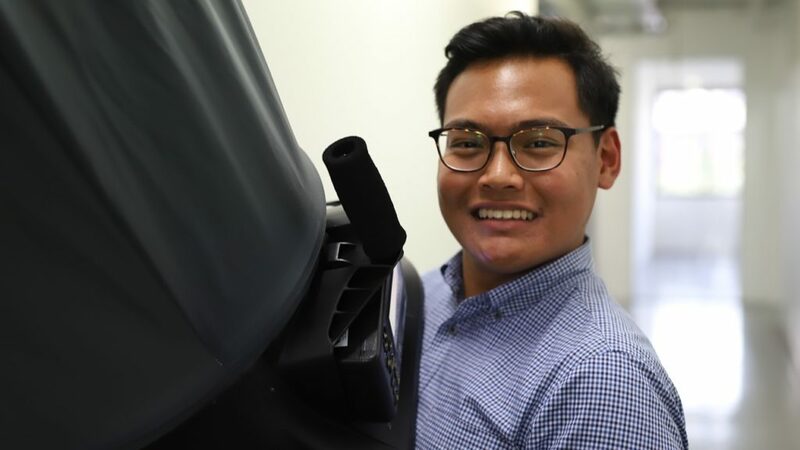 Building ventilation systems and air conditioning may feature in the course of work, but for Iz, as he’s known to friends and colleagues, his job is focused on measuring the quality of the air that flows through the systems and into the indoor environment. These include air-conditioned offices, cleanrooms in biotech laboratories and even hospital operating theatres. “Besides testing existing air flow, we also have to determine the areas where air flow or air quality might be compromised. We make use of different methods to conduct our tests and they range in complexity,” said the 25-year-old. The job of an air quality engineer may be one of the lesser known roles in the built environment industry, but it plays a big part in ensuring that workplace safety and health guidelines are adhered to in commercial buildings. Instruments like the volumetric flow hood and micromanometre are used to check for things like air flow (Photo credit: Jonathan Tan). Following the severe haze that engulfed the country in 2015, Singaporeans will be familiar with indexes like PSI (Pollutant Standards Index) and PM2.5 (Particulate Matter) as measures of air quality. But to professionals like Iz, air quality is determined by a far wider range of parameters. The parameters may include carbon dioxide, carbon monoxide, formaldehyde, ozone, volatile organic chemicals, bacterial and fungal counts, particulate matter, air temperature, humidity, and air movement. “Maintaining a good air flow is what is most important to ensure that the air quality parameters meet workplace safety and health guidelines. Good air movement also means that the air in an indoor environment will get to be filtered through the ventilation system which prevents the build-up of bacteria and harmful gases like carbon dioxide and carbon monoxide,” he explained. “People often take the clean air we enjoy in buildings for granted. Having been behind the scenes, it is actually not easy to maintain a good indoor environment. 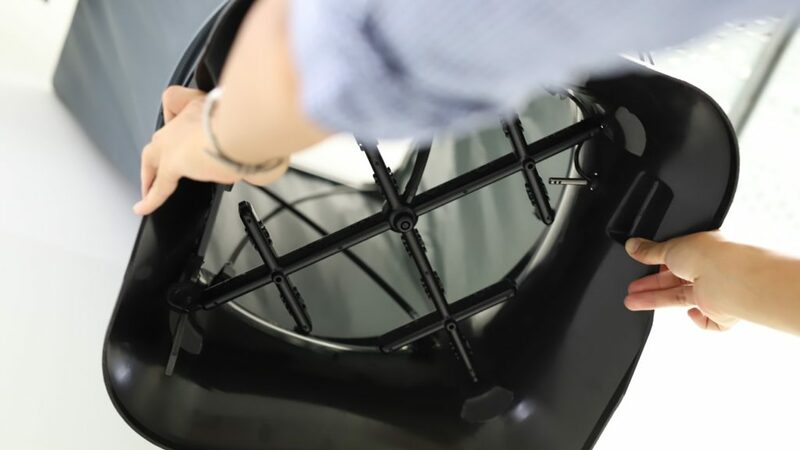 It requires a lot of attention to details, such as temperature, humidity; and effort to regularly make sure air filters in the ventilation systems are regularly cleaned,” said Iz. 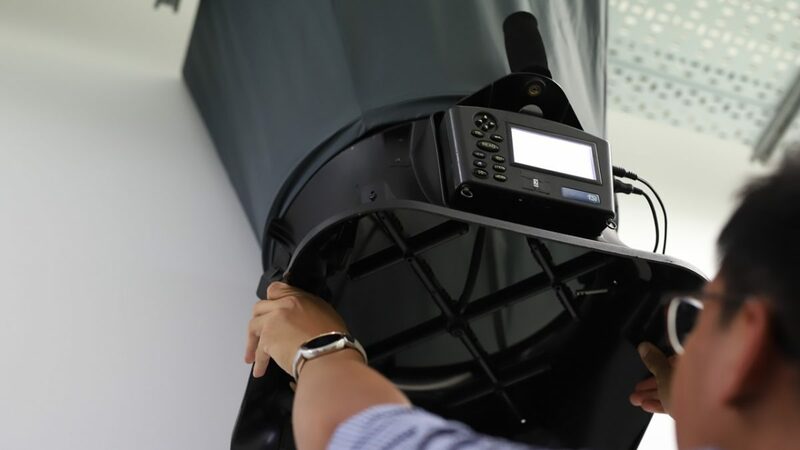 The instruments are usually placed beneath ventilation vents to measure the quality of air (Photo credit: Jonathan Tan). It may have only been 11 months since joining the company after completing his National Service, but Iz is relishing the work experience. “The job has given me a lot of exposure, such as seeing the inside of many locations I’ve always been curious about. It’s not difficult to pick up the skills to do the job and I’ve benefitted from on-the-job training. What’s crucial is keeping to the proper testing procedures and then taking down the values on the gauges accurately. Many of the skills I learnt in school had prepared me for working with instruments and crunching the data for the reports I have to do,” he said. 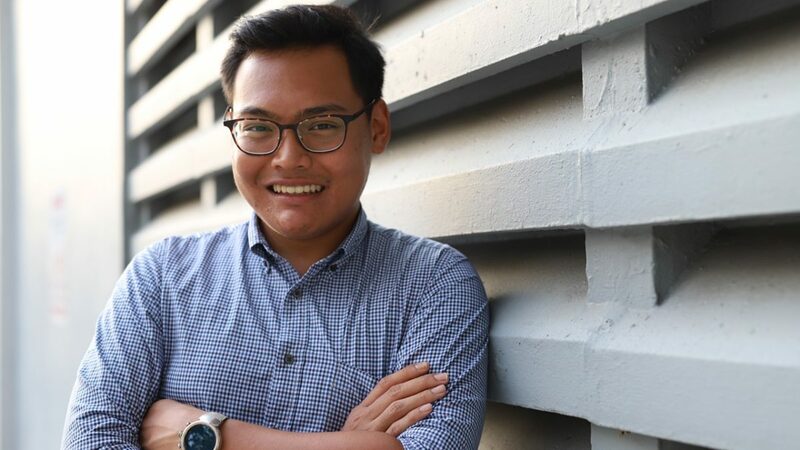 Izdihar joined his company, AxiomTAB after completing his National Service (Photo credit: Jonathan Tan). 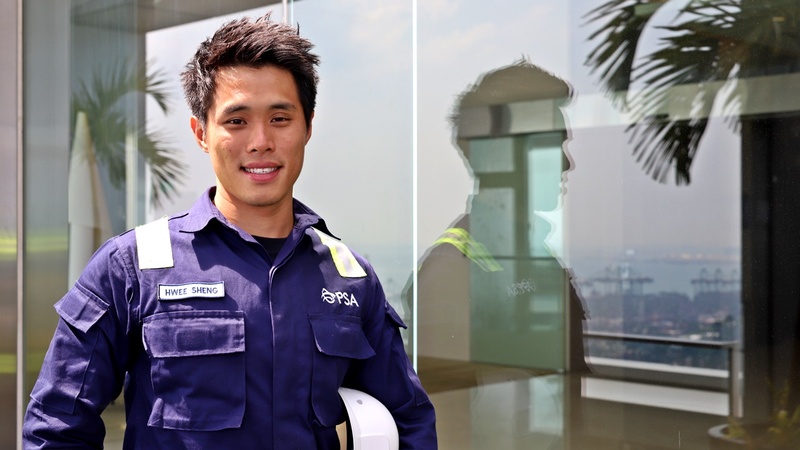 Given Iz’s diploma in Environment Water Technology, supported by the Building and Construction Authority, a career in this sector wasn’t something that he had expected to find himself in. It was the opportunity to engage in field work as well as the experience of a whole different side of the built environment industry that convinced him to give the job a shot. 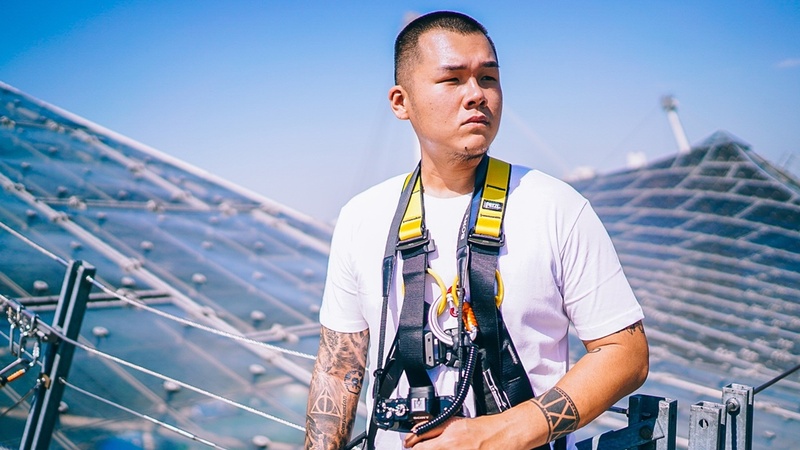 “It’s cool to know that I am the guy behind the scenes and that I have a part to play in maintaining the clean indoor environments in places like hospitals,” he said.